Such a simple lesson in recession economics! I suppose it’s too much to hope that Mr Osborne will read it; or, if he reads it, that he will understand it; or, if he understands it, that he will act on it — for example, by immediately reversing the swingeing 2.5% increase in VAT that he imposed on taking office, then temporarily halving the previous 17.5% rate. Go on, do it, Chancellor! I don’t share your confidence that economists and chancellors can control economies any more effectively than Michael Fish can control the weather. In my not very humble opinion the Great Healer, heartless, witless market forces and the inevitable hefty doses of QE will get our economy staggering back to something like normal, eventually. I don’t think it makes much difference what the chancellor does, though my gut feeling is it’s better not to chop and change. Meanwhile Mr Osborne ought to try to share out the burden more fairly, in the hopes that the worst off in our society can still enjoy a reasonable quality of life. Not an easy task for any politician. Any reason to think New Labour’d do it any better? Brian writes: Thank you for this, John. I don’t think history bears out your pessimistic or fatalistic view of the powerlessness of governments to influence economic events. As a matter of historic record, New Labour was doing significantly better than the present incompetent crew until removed from office by Mr Clegg and the then Cabinet Secretary. I have no doubt at all that Labour under Ed Miliband would do better still, given the chance. 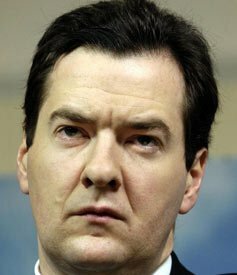 It’s perfectly possible to revive aggregate demand in the economy (by measures which incidentally would be much fairer than Osborne’s policies) and Camerosborne has demonstrated that it’s also quite possible, although disastrous, to depress demand just at a time when it needs to be stimulated. Perhaps I’m talking out of turn, but what you say sounds like a party political broadcast. “Significantly” is one of my favourite words – it’s completely unfalsifiable. Brian writes: I don’t see how a 1-word adverb can be either falsifiable or unfalsifiable. It’s not measurable, but neither are innumerable qualifiers, such as ‘very’. It seems to me beyond dispute that in the lead-up to the 2010 election Alistair Darling’s balanced programme of deficit reduction measures combined with action to stimulate the economy was producing measurable and positive results, with unemployment beginning to fall and other signs of steady recovery from the banking and credit crises of 2008; whereas after two years of Mr Osborne’s stewardship, all those positive signs have been sharply reversed, we are in a double-dip recession, and on almost every economic measurement the country is in a worse state than when the coalition took office. Cameron and Osborne refuse to do anything to pump up aggregate demand in the economy, which they have actually done everything possible to stifle, with tax increases, welfare benefit reductions and a sharp increase in VAT. All they can think of is to pour more and more money into the banks in the hope of persuading them to lend more, with the banks hoovering up the funds to increase their reserves and pay more huge bonuses, but doing nothing to increase lending. Business won’t borrow to invest for increased production if it has no confidence that demand for its products is going to recover and they won’t be able to sell them. If pointing all this out sounds like a party political broadcast, too bad. Perhaps you didn’t notice that this analysis is amply confirmed by the Economist article quoted at length in my post. The Economist is not generally regarded as a vehicle for party political broadcasts on behalf of the Labour party. As I’ve already said, I don’t share your confidence that economic forces can be significantly – significantly. comrades, significantly – controlled by economists or chancellors. Moreover, in spite of what you say about Mr Darling, I don.t believe the New Labour economic team is any less incompetent than the Coalition one. There’s also a nasty suspicion that New Labour says one thing in opposition but follows the Tory line when in office. Of course you and the Economist, may be right and I may be dead wrong. Brian writes: Common sense suggests that your last sentence is almost certainly correct, although I hope you’re only wrong, not dead. Incidentally, you surely don’t share the widespread but erroneous belief that Canute thought he could control the tide? Nul points if you do. You might well have added that it’s pretty bleeding obvious. The reason I made it was because i thought you didn’t take seriously enough the idea that perhaps it’s you and the Economist who’ve got it all wrong. Even Sir Merv has at last admitted that “to be honest” nobody can make infallible forecasts about our economic future. Previous story Indeterminate Sentences for Public Protection (IPPs): stuck in a groove?